MBK APPEARS ON CRIME WATCH DAILY! 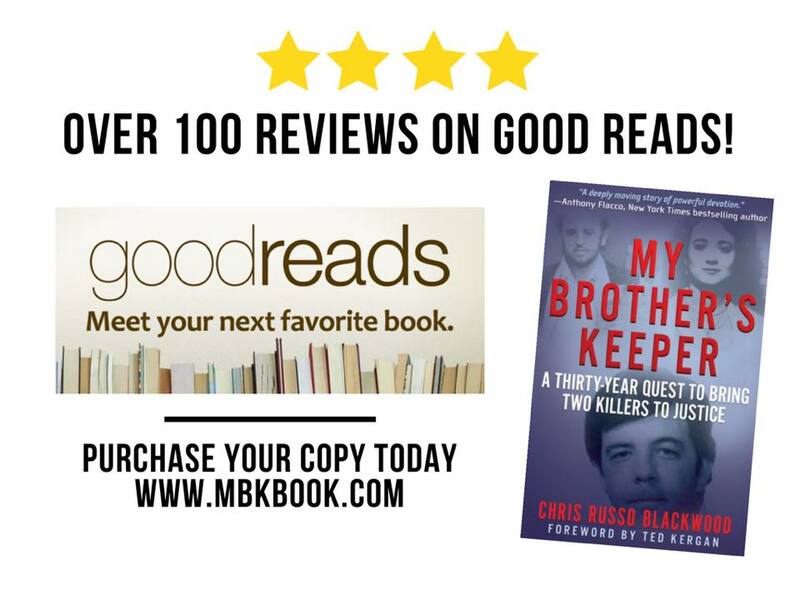 Readers' Favorite announces the FIVE STAR review of the non-fiction, true-crime book "My Brother's Keeper" by Chris Russo Blackwood, available through Amazon at wbp.bz/mbka. Readers' Favorite is one of the largest book review sites on the Internet. It has earned the respect of publishers including Random House, Simon & Schuster and Harper Collins. The site received "Best Website for Authors" and "Honorary Excellence" awards from the Association of Independent Authors. MBK RECEIVES OVER 100 REVIEWS ON GOODREADS! Click on the link below to listen to Jim Engster's interview with Chris Russo Blackwood and Ted Kergan. Sunday, November 5, 7-9 p.m.
Main Branch, EBR Parish Library, 7711 Goodwood Blvd. 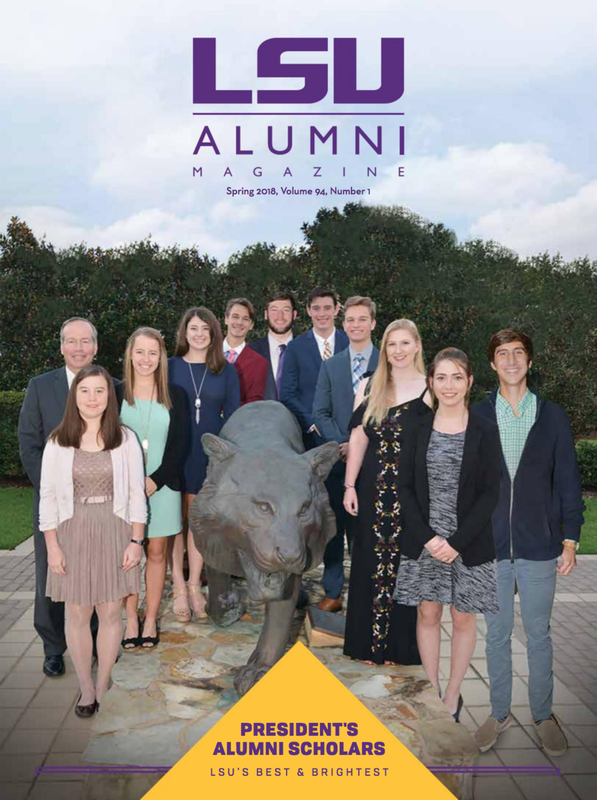 You are invited to learn more about this remarkable tale from Chris and others who worked closely with Ted Kergan. Join Chris and dozens of authors at the 2017 Louisiana Book Festival October 28, from 10 am to 5 pm, in downtown Baton Rouge at the State Library of Louisiana, the State Capitol, the Capitol Park Museum and nearby locations. 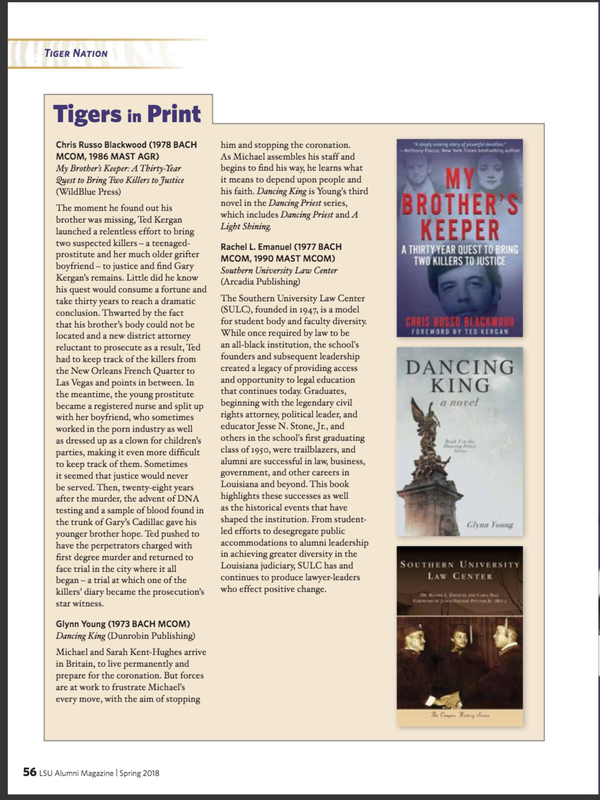 MBK IS A FINALIST FOR THE INTERNATIONAL BOOK AWARDS! MBK RECEIVES 100 REVIEWS ON GOODREADS!